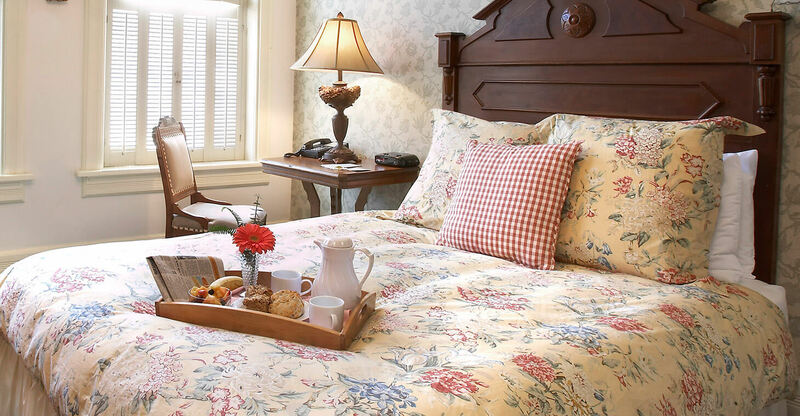 "Best Scones this Side of the Pond"
A deluxe continental breakfast is included with your stay at the most romantic bed and breakfast Wisconsin has to offer. 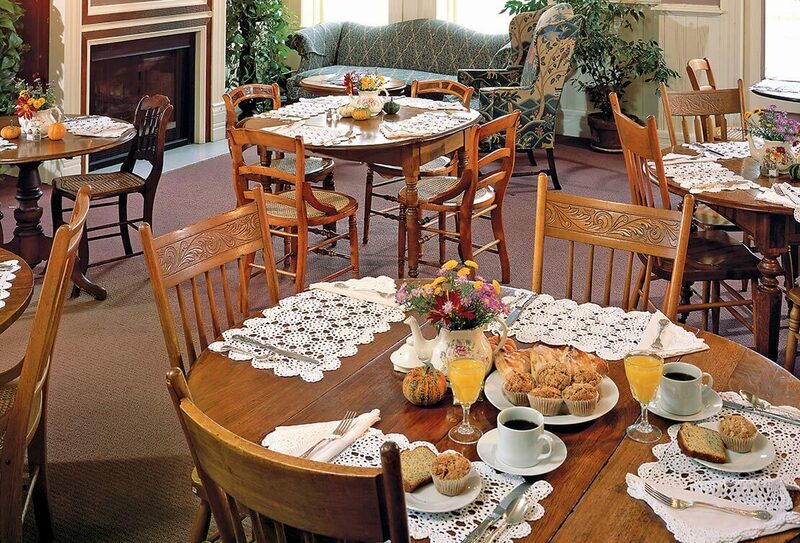 The Washington House Inn’s breakfast includes homemade baked goods using local ingredients, healthy choices, gluten-free options, seasonal fruits, plus a hot entrée daily. 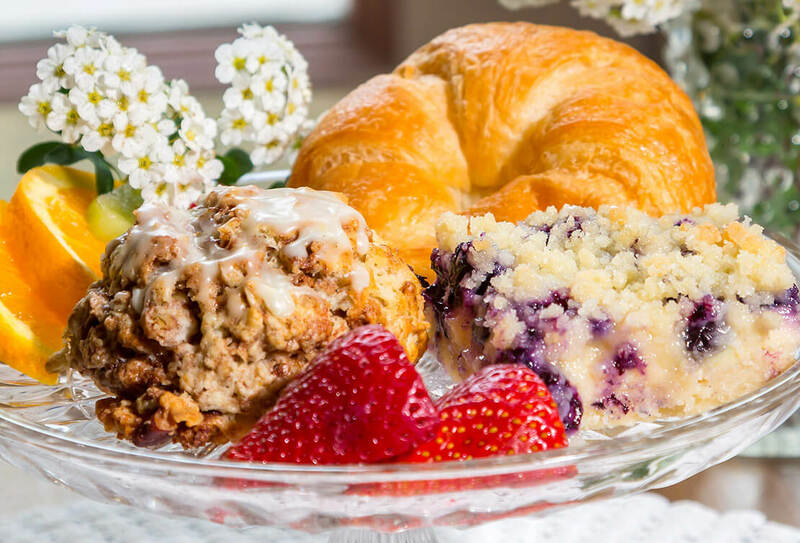 Some of our special dishes include Fresh Berry Trifle, Cedarburg Breakfast Scones, Baked Oatmeal, and Wisconsin Cheddar Egg Strata. If you have special dietary needs, please let us know when making your reservation so we can better prepare for your stay with us. In the evening, you can look forward to a social hour with wine and cheese. 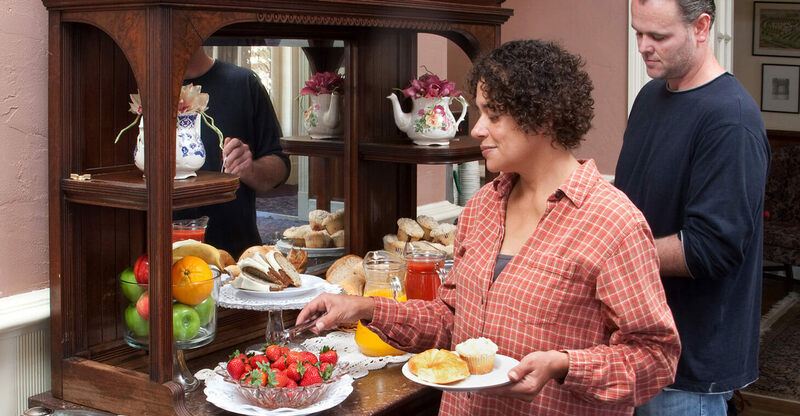 Our scratch-made breakfast is served in our Gathering Room as a buffet between the hours of 7am – 10am or, if desired, room service between those hours. 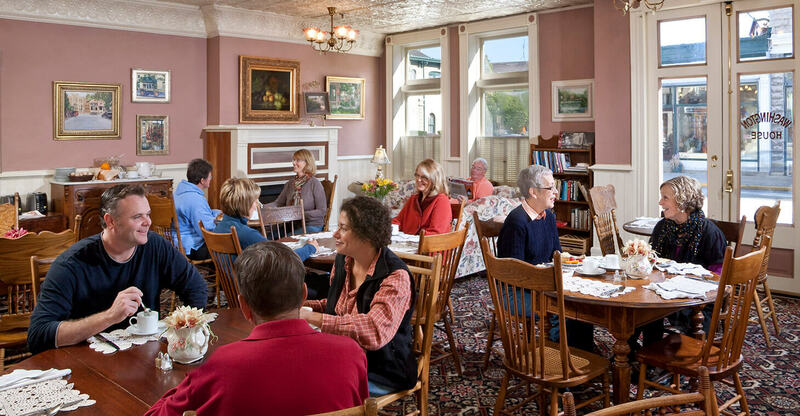 Peak Gathering Room hours are 9am – 10am; an early choice of time will give a better selection of seating. We often get requests for recipes for the home-baked goods we serve at breakfast, so we recently released our own cookbook full of our best recipes! For only $6, it makes a great keepsake that you can pick up here or call us to order a copy. Perfect to present with a gift certificate! We hope you enjoy making our signature dishes for your friends and family as much as we enjoy making them for you. 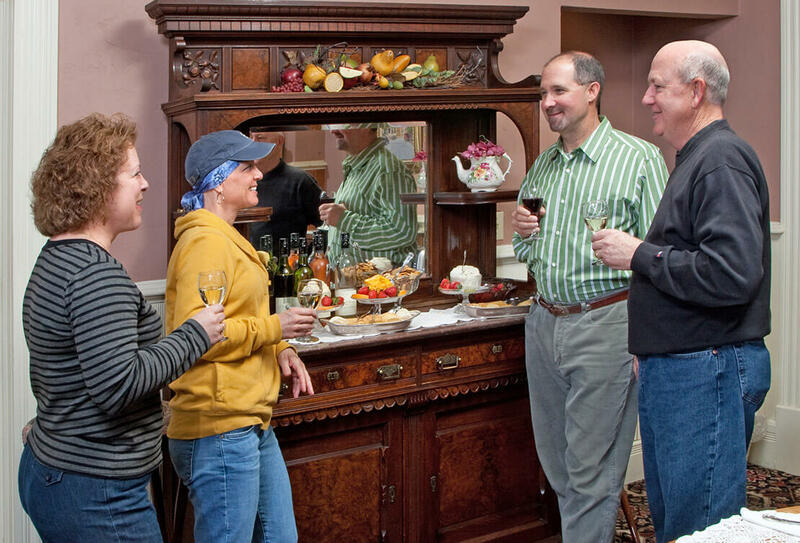 Guests will enjoy the complimentary wine and cheese social hour in our Gathering Room every evening from 5pm to 6pm. A selection of local wines from Cedarburg’s own Cedar Creek Winery are paired with an assortment of Wisconsin cheeses. 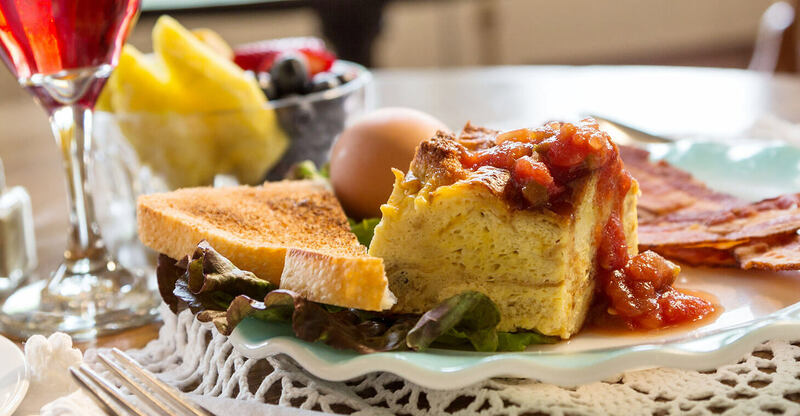 This is the perfect way to cap off a day of activity in the Historic District, and also the time to peruse the local menus on hand to help in making your choice for dining. Mix together flour, sugar, and baking powder. Cut in softened butter until mixture resembles small pebbles. Toss in cherries and pecans. Add buttermilk and stir until moistened and a soft dough forms. Knead on a floured surface about 10 times. Roll out to 1/2″ thick and cut out scones into circles with biscuit cutter. Top with sugar and cinnamon mixture (1/4 cup granulated sugar and 1 tsp cinnamon)and bake on a lightly sprayed cookie sheet for about 20 minutes or until lightly browned at 400 degrees F.